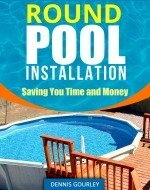 Hello, I have just installed a 27 round 54 high above ground pool. After the install and I got in with shin deep water in it I noticed a few things. I have 2 uprights that need to go in at the top about 1/2". And I have 2 that need to go out at the top about 1/2". I see with my eye that it isn't level, but when I put a level on it and pull one end or the other out to make the level sit level, those 4 have about a 1/2" gap between the level and the post. At a couple post there is a buckle of sort in the wall. I can push the buckle out to the post and it goes up flush. Is this ok to finish filling up? Will the wall push out against the post in those spots, and is the post leaning too much. As far as looks for the post, it doesn't matter that much, I'm putting a deck all the way around it. Just Want it to be safe for my little girl. I did measure down from the top of the pool to the water level line and they all was within a 1/4" with the exception of one post, it was about 1/2" to 3/4" lower that the others. Any help would be amazing. Thank you. Hi Michael You have done the most important thing, that is checking the level. A level pool should be safe. Posts that are slightly higher or lower than they should be sill cause them to lean. Raising or lowering them slightly will probably help. Small adjustments like this can be made from outside the pool with water in it. A bow in the wall is usually an indication of a high post or high bottom rail. Just scraping a little dirt out from under it might help. This is all fine tuning. If the pool fills up and is still level, and does not show any major problems you should be fine.